continued from yesterday: What I liked about Aaron Sorkin’s method is the way he mulls the story over in his head, kind of stirring it up in a pot, and then he lets it simmer. Later he may add a second ingredient or third or fourth to enhance the stew. Eventually he has to decide when enough is enough, when the ingredients are just right, when it’s simmered and cooked long enough…when it’s complete. He’s looking for a finished product that sizzles with great dialogue and a lot of conflict. One thing I noticed Sorkin repeated often is the author creates a character who should have desires and ambition, and in order to make the story interesting you just keep putting obstacles in front of him, ones he has to overcome in order to get to the next scene. To me it sounded a lot like motivation and conflict. I was touched by the idea that he never really came out and used that terminology. Why? Because sometimes we hear the same thing so often it loses meaning. Instead he insinuated a fresh way of saying throw every obstacle in the hero’s way and watch his character develop as he meets his challenges. Another way of saying GOAL-MOTIVATION-CONFLICT? Sorkin referred to Aristotle's work, which I admit I was unfamiliar with at the time. But what I did was how much what he quoted sounded much like the things I’ve heard so often from Joseph Campbell’s works (The Hero’s Journey). So all writing styles may have changed since Aristotle's time, but the theory of writing hasn't changed much. A lot of instructors find ways to say things differently because people learn differently. If one person talks about goal, motivation, and conflict, and somebody else puts it in other terms, you may absorb the information better one way than you would another. The understanding curve changes with the words that are used. Someday (if you haven’t already) you're going to have that “Ah-ha” moment and realize exactly that is what’s happening. So when I think of Aaron Sorkin I immediately think of awesome dialogue. The man is a dialogue hound. That's what he writes best, and I don't think anybody does it better. He started going to the theater, hearing music in the dialogue. When he began writing plays, the words in the dialogue intrigued. He claims he is not very good at description. So his description is focused in the dialogue. To him it is the dialogue and the interaction that spurs the action, shows the character, challenges the viewer to read more in the character’s words and behavior. In dialogue, the reader or observer gets to know the character, begins to understand what the character is going through by watching his response physically, emotionally, and verbally to those things happening to him and the people around him. You have to be able to read other people to get what he’s saying because not every character says what he means. Being a good judge of character means that you're capable of interpreting what they're saying and feeling—what they truly mean by their actions. It's like putting a puzzle together. After you've got the pieces on the table, you're fully capable of matching those pieces together, but you're not going to see the whole picture until you put enough pieces together and it visually begins to make sense. It’s especially difficult to interpret the characters’ motivation if you're not in that character’s point of view. If you’re writing a novel in a particular character's point of view, the advantage the readers have is they know what the character knows. The reader sees the world and understands only what the point of view character understands and sees. Books these days are totally different than in the days when they were written in omniscient point of view, where the reader had some person standing above it all who saw and told the story to the readers. The narrator told the readers everything they needed to know about what was going on and about what the characters were feeling. The narrator even described how the characters reacted to each other. Now, though we use multiple techniques, the most common method is writing a single point of view or two points of view or three points of view, but we stick to one character’s point of view so the reader only knows what's going on through that person. That technique actually brings you closer to the story because it puts you in that person's head, and allows you to understand what how that person, that character, is reacting to the situation he author put them in. It doesn't allow you to actually understand what the other people in the scene understand or feel unless they tell, or the POV character interprets those things from what they see, hear, taste, touch or smell. The POV character must be the eye of the camera, seeing or feeling or reacting to the situation. It makes the reader take a more active part of the story. 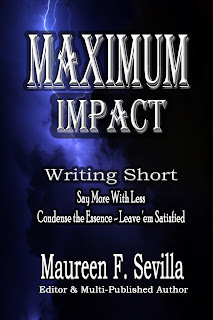 I suggest reading "Maximum Impact" by Editor, Maureen Sevilla to see how to condense your work down to the integral part of the story, and check out her reading list. Will definitely get Maximum Impact. Even 'experienced' writers need a refresher now & then. Thanks for that post, Eliza! thanks I'm glad I interested you in the subject and OMG sorry for the typos. 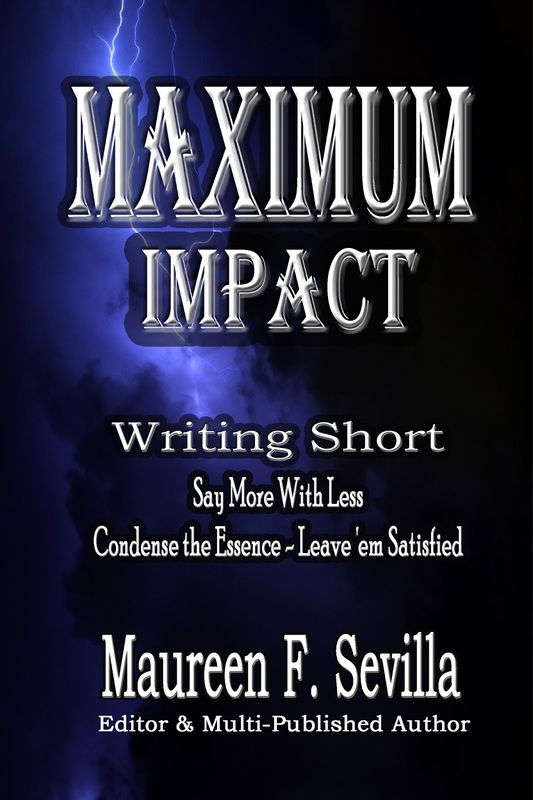 I'm going to check out Maximum Impact. Thanks for sharing all this. I'm sharing it on Twitter. I have to fix the typos!